Here is the perfect sink for a fairy to wash her pretty face and brush her hair. 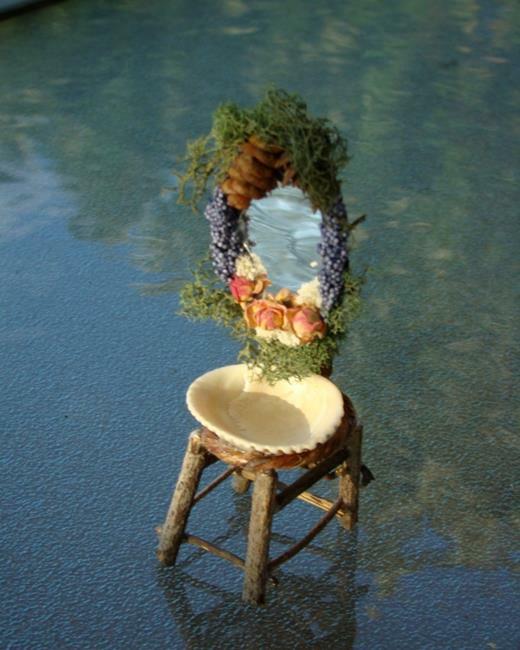 The woodland mirror and the sea shell sink are attached to the wooden stand made out of twigs. Part of a 2015 Grand Champion Award.